Using classic thermodynamic principles as the point of departure, this new edition of a popular resource supplies the understanding and tools required to measure process efficiency and sustainability with much improved accuracy. 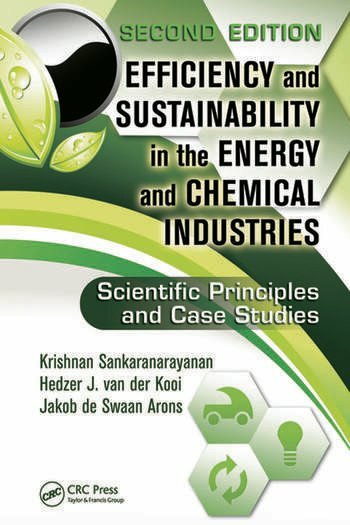 Exploring the driving forces in the chemical and power industries, Efficiency and Sustainability in the Energy and Chemical Industries: Scientific Principles and Case Studies, Second Edition investigates why losses occur and explains how to reduce such losses. Numerous case studies, examples, and problems illustrate the thermodynamic analysis of process performance to explain how to effectively analyze and optimize work flows and environmental resources. 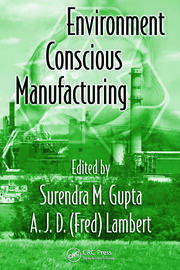 The authors compare the present industrial society with an emerging one in which mass production and consumption are in harmony with the natural environment through closure of material cycles. In this second edition, the book’s structure of Basics, Thermodynamic Analysis of Processes, Case Studies, and Sustainability has been unaffected, but a few additions have been made. Complete with the keys to a quantification of process efficiency and sustainability, this cutting-edge resource is the ideal guide for those engaged in the transition from fossil-based fuels to renewable and sustainable energy sources using low-waste procedures. 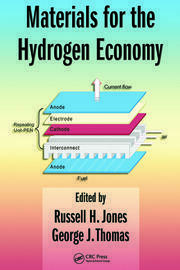 Hydrogen: Fuel of the Future? Hydrogen Production: Centralized or Decentralized? Each chapter includes an "Introduction", "Concluding remarks", and "References"
Jakob de Swaan Arons received his MSc and PhD degrees from the Delft University of Technology, the Netherlands. He spent some 20 years with Shell International, before he was appointed to the chair of Applied Thermodynamics and Phase Equilibria at Delft University of Technology. He is an elected member of the Royal Netherlands Academy of Arts and Sciences, and an honorary professor of the Beijing University of Chemical Technology, China. 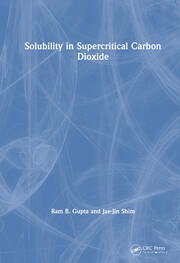 From 2003 to 2009, he served as chair in the chemical engineering department of Tsinghua University, Beijing, China. Much of his inspiration was drawn from his many visits to Japan and its research centers. He received the Hoogewerff Gold Medal for his lifetime contributions to process technology in 2006. Krishnan Sankaranarayanan received his MSc at Delft University of Technology, the Netherlands and his PhD at Princeton University, New Jersey. At Delft, he did an extensive study of the energy effi ciency of the polyolefi n industry, for which activity DSM acted as host. He is currently group head reactor engineering and mixing at ExxonMobil Research and Engineering, Fairfax, Virginia. Hedzer J. van der Kooi received his MSc and PhD degrees from Delft University of Technology and specialized in phase equilibria. In the last decade, he worked closely together with Sankaranarayanan on the subject of this book, assisted by many students. He is currently active in the Department of Architecture at Delft University of Technology. "The authors have written a much needed textbook, appropriate for chemical, mechanical, process, and environmental engineers. … Overall, the text is highly readable and the authors have done an excellent job at combining a difficult subject (thermodynamics) with an area that eludes quantification due to its complexity (the environment). … It is a highly recommended read."